As well as pressing curves into a board across its width (concave), we can press along it’s length too. 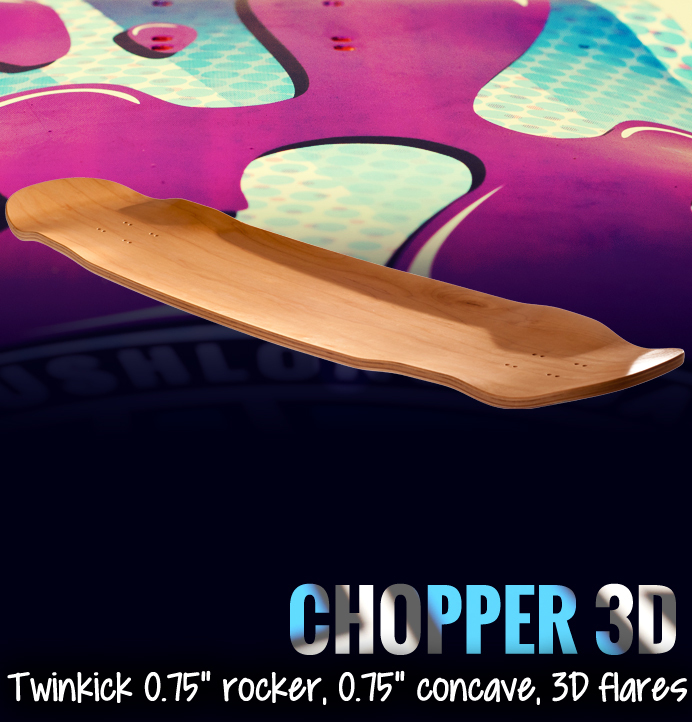 This allows us to create Rocker, Camber, or more funky 3D concave profiles along the length of each deck we press. 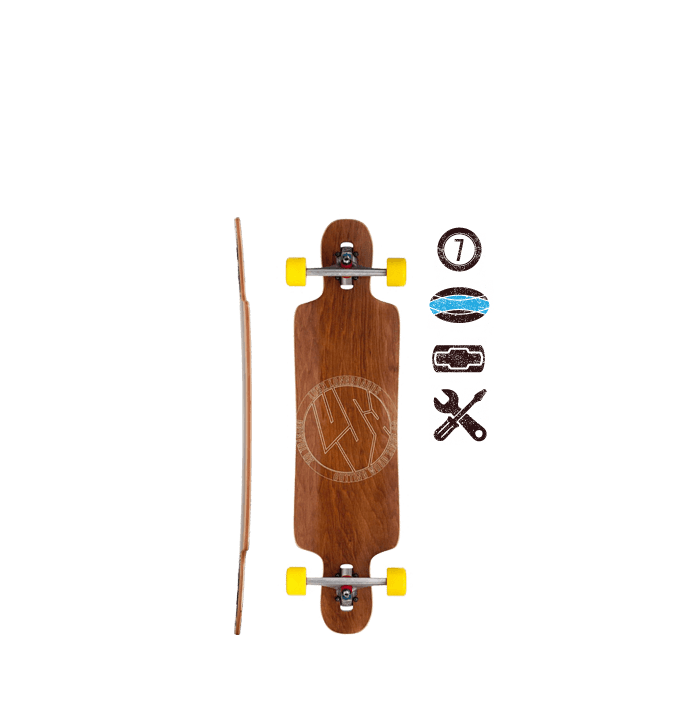 We can use a different deck profile/concave combination to affect how stiff or flexy a deck is, and also how we want it to feel underfoot. For flexy longboard decks, we use a Cambered profile. 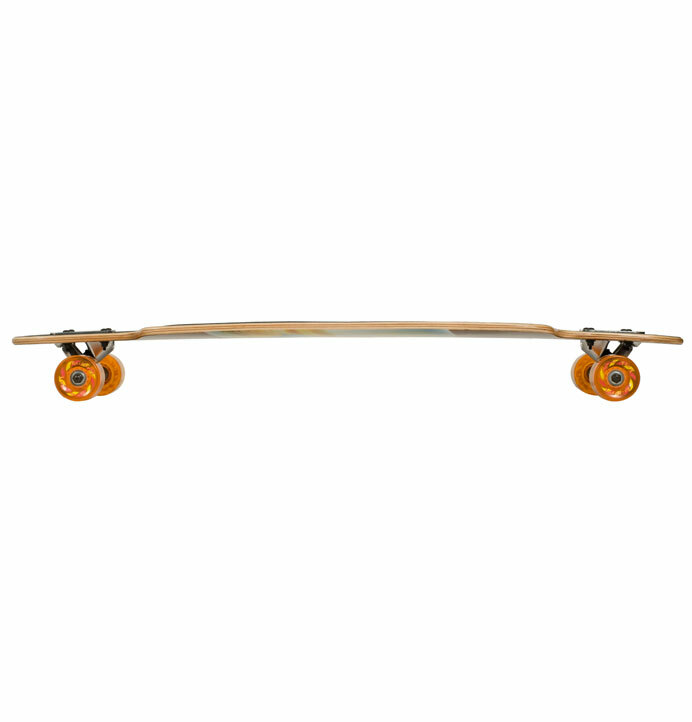 We’ve used camber in various longboards since the early days – there’s no better way to produce a lively flex from wood. A springy flex, as the veneers are “pre tensioned” against your weight in the press, the deck “springs” out of carves and gives a super-nice carving feeling. If you’re into surfing and snowboarding – you will like it! A slightly higher ride height which equates to more lean and a better turn on your trucks. 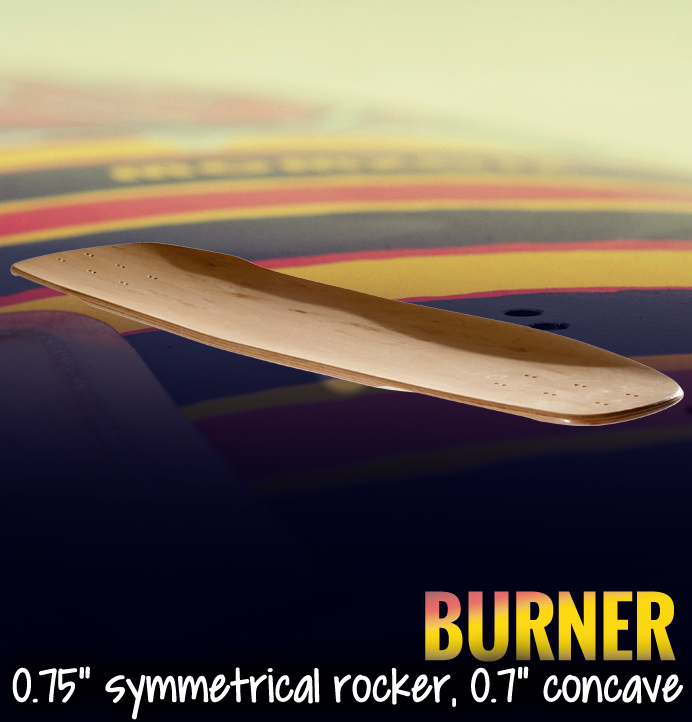 If you want to carve it up… Camber is the way to go. 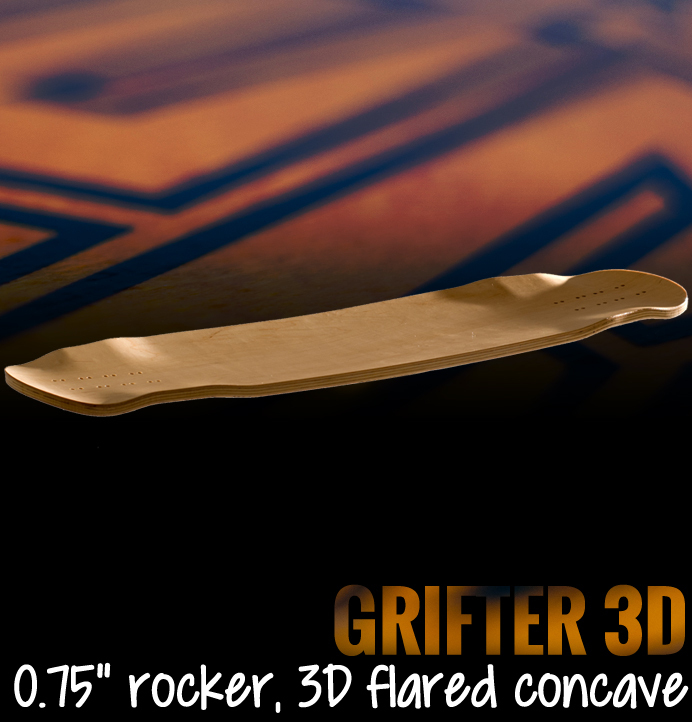 Many of our freeride and downhill boards use a rocker concave. With some shapes, it allows us to press sick pockets for your feet. By varying the position of the blank in the mould and altering the shape, we can vary the concave at different points of the deck to suit a specific purpose. 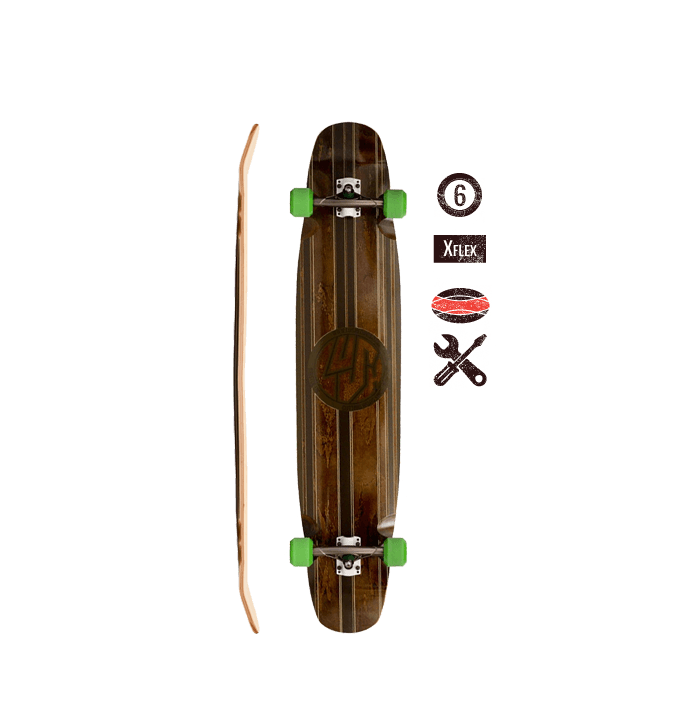 Some of our decks also have small kicks in addition to the rocker, opening up a whole world of shuvits, flips, ollies, airs, anything you can do on a normal skateboard… the lines are getting blurry! When we want to give a more positive feeling for you feet, we use 3D Rocker. Prevents wheelbite – Moulded in wheel arches make it even harder to get wheelbite – so much so that we don’t need to cut wheel wells into the deck! Locked-in foot placement -This concave creates little pockets for your feet, right where you want them. Lock in for those huge standup slides! 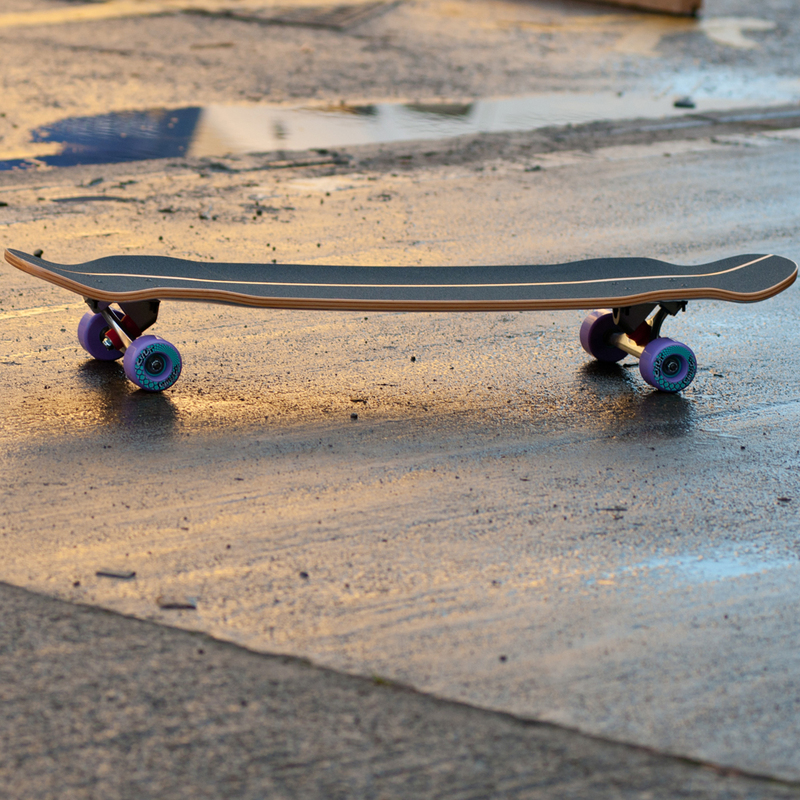 Our 3D Concave is the result of many years of tweaking, moulding and skating… it’s subtle, but enough. Trust us… you’ll love it!